2015 - Present; Assistant Professor, Department of Chemistry, Indian Institute of Technology Guwahati, Guwahati , Assam, INDIA. 2012 - 2015; Post Doctoral Fellow, Department of Chemistry, Rutgers, The State University of New Jersey, Piscataway, NJ, USA. 2010 - 2012; Post Doctoral Fellow, Department of Inorganic and Analytical Chemistry, Goethe University, Frankfurt, GERMANY. 2009 - 2010; Post Doctoral Fellow, Department of Inorganic and Physical Chemistry, Indian Institute of Science, Bangalore, INDIA. Department of Inorganic and Physical Chemistry, Indian Institute of Science, Bangalore, INDIA. Department of Chemistry, Mangalore University, Mangalore, INDIA. St. Aloysius College, Affiliated to Mangalore University, Mangalore, INDIA. 2015 - 2018; DST Young Scientist. 2012 - 2015; Centre for Enabling New Technologies Through Catalysis (CENTC) Post Doctoral Fellow. 2012 - 2015; Post Doctoral Fellowship funded by CHEVRON Energy Technology Company. 2010 - 2012; Post Doctoral Fellowship funded by Beilstein Institute under the NANOBIC Project. 2009 - 2010; Indian Institute of Science Senior Research Associate Fellowship. 2007; Best poster award: 12th Symposium on Modern Trends in Inorganic Chemistry (MTIC XII - Dec 2007), IIT Madras, Chennai, INDIA. Jan 2013 - Jan 2015; Member of American Chemical Society. Dr. Akshai Kumar A. S obtained a Bachelors degree in 2002 from St. Aloysius College, Mangalore University where he studied Physics, Chemistry and Mathematics with equal credits. From the same university in 2004, he completed his Masters degree in Inorganic Chemistry. 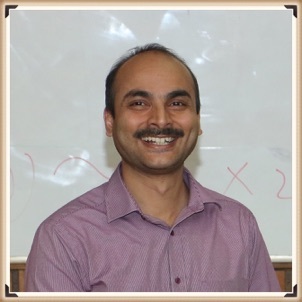 He pursued his doctoral studies under the supervision of Prof. Ashoka G. Samuelson in the Department of Inorganic and Physical Chemistry, Indian Institute of Science, Bangalore. In 2009, he was awarded a PhD degree for his work on “Reductive and Metathetic Coupling Reactions Mediated by Group(IV) Metal Alkoxides”. He continued his post doctoral studies in the same lab and worked on “Experimental and Computational Studies to Elucidate Unusual Titanium Mediated Reductive Pathways”. Subsequently, in 2010, he moved to the group of Prof. Andreas Terfort, Goethe University, Frankfurt where he explored organofluorine chemistry working on a project titled “Synthesis and Nucleophilic Substitution of Polyfluorinated Annelated Arenes as Materials for Optoelectronic and OFET Devices”. He extended his post-doctoral activities by joining the Goldman group in 2012. Here his research interests were focussed on the design of tandem catalytic systems based on pincer iridium complexes and zeolites for catalytic transformation of alkanes to synthesize fuel chemicals. In 2015, he was appointed as Assistant Professor in Chemistry at IIT Guwahati. Currently his research emphasis is on transition metal catalyzed C-H and C-F activation reactions for the synthesis of fuel chemicals and heteroatom doped π-conjugated organic materials.